Dominica is one of the only Caribbean islands that still have a population of Carib Indians, but the majority of the island's inhabitants are of Indo-European descent with a small European minority. There are a few small groups of Lebanese, Syrians, and Asians also living on the island. Ross University is located here and 1,000 American medical students earn their degrees in the beautiful tropical setting. English is the official language and some speak a French based Creole dialect as well. Whether you stop overnight on a cruise ship or you stay on the island itself, Dominica is a vacation spot you won't want to miss. The scenery is breathtaking, with beautiful ocean views, sandy beaches, and lush tropical vegetation. Perhaps you'll get there for the World Creole Music Festival during the first weekend in October, or perhaps you'll arrive in time to see the cricket matches. 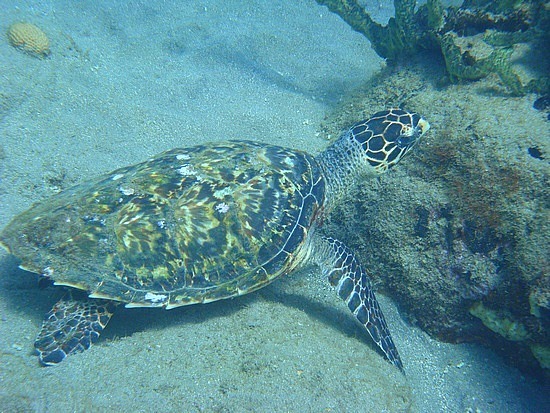 You may enjoy scuba diving or just swimming in the emerald waters. Certainly you'll want to watch the dolphins and whales swimming and playing off shore, or you might choose to hike on the trails through the island. Dominica is a popular spot for a "destination wedding", and all of the guests will be eager to attend. Some couple prefer to have their wedding in their home town and then honeymoon on Dominica, keeping the island all for themselves. But whether you're single, honeymooning, or celebrating many years of marriage, Dominica is one Caribbean island you won't want to miss. Dominica, the northernmost of the Windward Islands, has been named the "Nature Isle of the Caribbean" for it's breathtaking natural beauty. The island has many waterfalls, springs, and rivers, and it is home to the second largest boiling lake in the world. A boiling lake is essentially a flooded fumarole where hot gases from beneath the earth's crust escape. Covered in rain forest, the Cabrits National Park preserves the native flora and fauna, some of which is thought to be extinct elsewhere in the tropics. 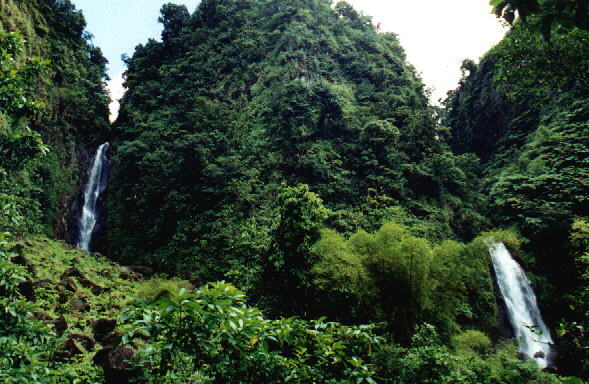 The little island is ringed with beautiful beaches, but Dominica is also quite mountainous. Columbus is said to have described the terrain by crumpling up a piece of paper and throwing it on the table. The Morne Trois Pitons National Park has been designated as a World Heritage Site. For centuries Carib Indians populated Dominica, predating Columbus. In 1635, France claimed the island, but their hold was not to last, because England actively competed for possession. Great Britain was given control over Dominica as part of the conditions of ending the Seven Years War, as part of the Treaty of Paris in 1763, That same year the British set up a whites-only legislation which ruled the island for many years. In 1831 the Brown Privilege Bill was passed giving political and social rights to the non-white population. In 1865 the assembly was changed to representation by a half elected and half appointed legislature. After World War I political awareness among the non-white population led to the formation of the Representative Government Association which agitated for more political equality. The RGA won one third of the available seats in 1924 and one half of the seats in 1936, leading to the Island being governed as part of the Westward Islands until 1958, when it joined the West Indies Federation. Dominica finally achieved independence in 1978. Dominica had the first female prime minister in the Caribbean, Eugenia Charles. A coup led by foreigners attempted to overthrow her in 1981 but failed. Dominica is the whale watching capital of the Caribbean, and sperm whales are year round residents in the waters off shore. Killer whales, spinner dolphins, and bottle nosed dolphins are often seen, and other species also make appearances in the surrounding seas. 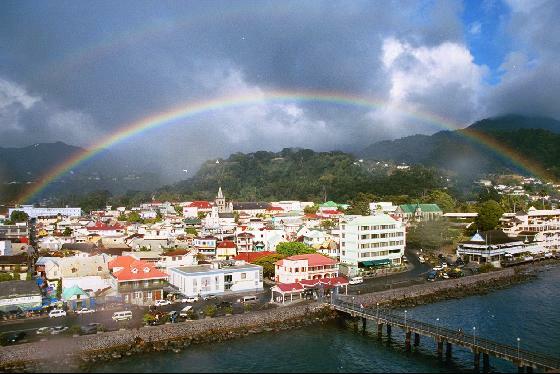 Roseau, the major city of Dominica, is the best place to book a tour of the island or an ocean tour. These are well organized and safety conscious, so this is one of the best ways to enjoy both scuba and deep sea diving in the Caribbean. If you love to hike, hiking to see Boiling Lake is a rewarding experience. 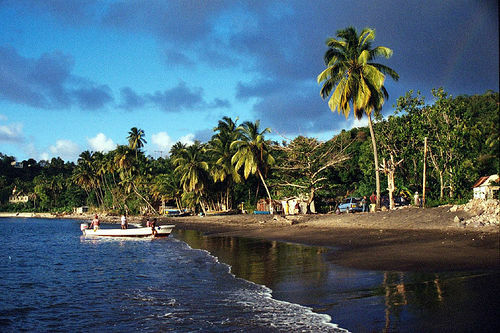 Dominica is one of the only islands with an active native population remaining. The Carib Indian reservation, with eight villages, offers a fascinating glimpse into life before Columbus. These are a fascinating people, and visiting this reservation is a worthwhile opportunity. Not surprisingly, for a resort island and prime tourist spot, the nightlife in Dominica is varied and exciting. Many of the hotels have their own special night when they host a party or concert. If you there during the full moon, go to Full Moon Nights at La Plain in Citrus Creek Plantation. Coco Rici's Ti Caz Cafe in Rousseau is a popular nightspot, and Spider's is open on Thursdays. This is a Creole culture with most of the population (80%) claiming to be Roman Catholic, and Carnival is celebrated every year just before Lent. However, there are some protestant denominations as well as a small but growing Muslim community. You can also attend the many festivals and learn the Creole language unique to Dominica. English is the official language of the island, so communication won't be a problem. 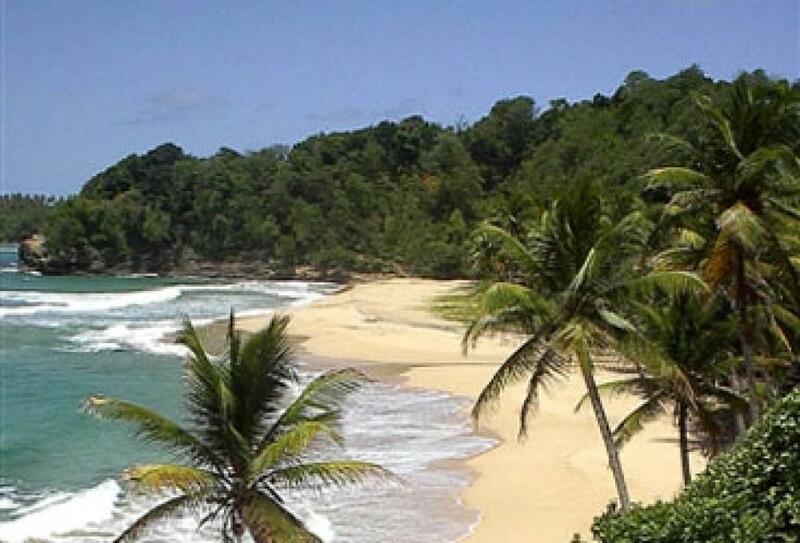 The island also hosts the World Creole Music Festival the last weekend in October. The island has its own university and medical school. The island was once an English possession, and this is exemplified in its love of cricket. Dominica competes in test cricket and, as of 2007, tests are played in the 8,000 seat Windsor Cricket Stadium. Seafood forms the bulk of the menu in Dominica, where the food is often spicy but rarely hot, and there are many wonderful local dishes you can sample. Buljou is cod with onions, peppers, tomatoes, and plantains cooked in coconut milk. Bokes is a fritter stuffed with cod, tuna, and cheese. Le rote is a tortilla stuffed with chicken, potatoes, and curry sauce. No Caribbean island would be without Callaloo, that amazing stew, and Dominica is no exception. Or try the Mountain Chicken, the Dominican version of frog's legs, named because everyone swears they really do taste like chicken. Of course, there are many local fruits and vegetables that complement the many dishes of Dominica. Red sorrel, which blooms only around Christmas, is used to make a special holiday drink.